This Memorial Day is even more special than all of the others I have experienced. I hope through my video I can express my patriotism and appreciation for my freedom, and that I may inspire you to remember it is not just about fireworks and barbeques. 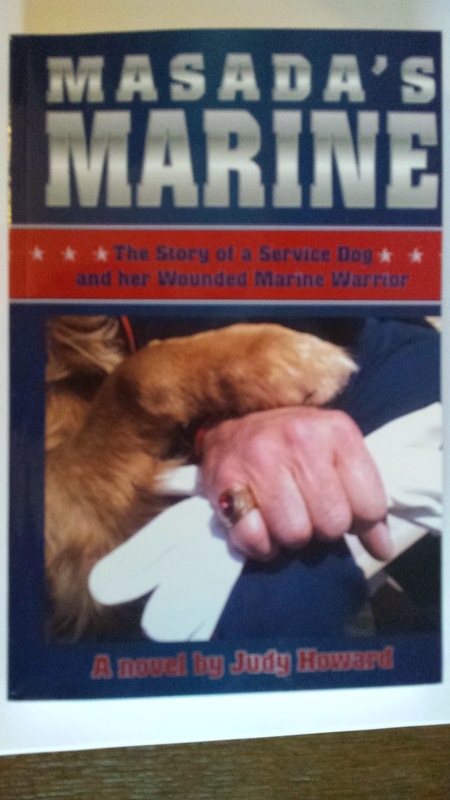 With the release of our newest book, MASADA'S MARINE, Memorial Day means even more to me than ever before. The hours Judy and I spent in research, and the wonderful folks we've met who shared their stories, has made this holiday extremely significant. Please honor not only our fallen heroes, but our invisible heroes who still fight their battle with PTSD. EVERY HOUR A VETERAN COMMITS SUICIDE BECAUSE OF PTSD. Below are reviews from some of our readers. “I am reading Masada’s Marine. It is great! I am only a third of the way done but you had me hooked and teary eyed with the first paragraph! I read a lot of books and I am not just saying this to be nice. It is your best so far and I think this will help a lot of people understand and appreciate our service people! When I was 12 my mom left my brother and I with some friends. The man had been in the service in Vietnam. We were sitting on the couch watching TV when he started screaming for us to get down. He moved us to the bedroom with his wife and then got down behind the couch acting like he had a rifle in his hand. It was terrifying. I had mostly forgot about that happening until I started reading this book. Other than that these people were very good to me. I see now how much he must have been suffering! “So I am at the part where Alex, the Marine, gets in an altercation with the driver of an SUV that honks his horn. Alex is banging on the man’s window and another man walks up and says, “Stand Down Marine.” Oh my gosh, I am balling like a baby. You explained it so well that the reader can sympathize with Alex. Road rage is a bad thing but you can see why he is so angry and have compassion for him! Still loving the book! Excellent!!" As a retired VA Nurse, I can tell you that the author knew her subjects well. Alex and Sarah experienced a marriage post Iraqi. Alex desires to do the right thing but must face daily the trauma recall from fighting a war that made no sense, where children were used to kill and be killed themselves. The violent side effects of PTSD does most certainly ruin families. The introduction of therapy dogs is a fairly new concept for our military returning now. However, the VA has been using service dogs for our blind veterans for years. Masada's Marine is the best read! I wanted to just hug Masada! Please consider this cat's humble plea and carry the message about PTSD.